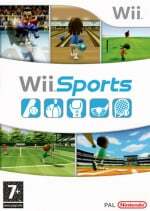 Nintendo's cartoon avatars, known as Miis have been around since the Nintendo Wii was unleashed back in 2006. Over the years we've seen Miis being used creatively in many games including Wii Sports, Miitopia, Miitomo, as well as StreetPass and Miiverse. Many had assumed that the writing was on the wall for Miis when Miiverse was discontinued. While they have had limited use on the Switch so far, Mario Kart 8 Deluxe supports Miis, and the upcoming Go Vacation will make a big deal of Miis, too. In addition to creating new Miis, you can also manage existing Mii creations and tweak them to perfection. Awww no soothing elevator music whilst constructing my mii?? I just wish this worked on the Switch and/or we could edit the Miis that are on the Switch. I have no interest in editing the Mii associated to my NNID. Most people: Does it have the Mii Channel music? Me, an intellectual: Does it have the Tomodachi Life Mii editor music? I agree that the lack of music on the switch mii maker feels sort of... weird. The Mii Maker music was one of the things everyone remembered most about the Wii. I do hope they make more games that make use of Miis, my league of creepy people with badly distorted faces needs something to do. @Jutandy You can make and use your Mii on the Switch. What are you talking about? Go Vacation Wii have Mii. Just the news I wanted to hear!!! This is actually quite awesome! Yay I can make more monstrosities again! Hey, i still use Mii. I’ve always disliked Miis. Moved on, Nintendo. I don't quite follow, I already got a Mii on my Switch profile? How do you transfer the Mii to your Switch? How disappointing. Its like a tool from a decade ago. 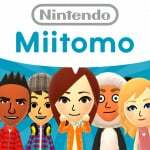 Why can't Nintendo create a fancy Mii Studio on smartphones? Also need many more choices, its very "Spartan"
Still hope for more stuff for mii a bit like on Xbox. Exemple; make your moi play guitar or have moving firework around it. Would me a nice touch for more creativity. I miss the charm of the Mii Channel and the Mii Maker. So... still some chance we might get sWiitch Party, maybe? So they’ll be in Smash then. Meh, not that interesting to me. 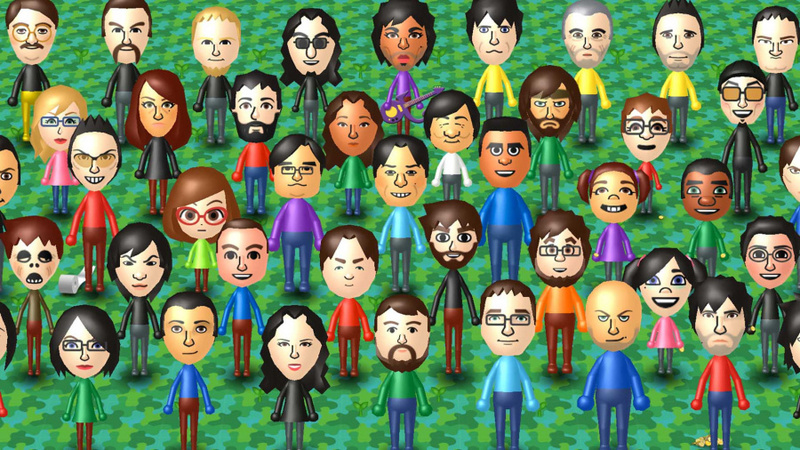 I have, for a while, wanted Nintendo to evolve Miis into something like a Nintendo social network. Combining and replacing both Miitomo and Miiverse and becoming a broad encompassing system incorporating our activity logs from 3DS, Wii U, and now Switch. It could be a way to bring all our friend lists together around our cute little avatars. But all that is probably just a pipe dream. When I went to the website, there were two Miis. The one I created and one I’ve never seen before. I deleted the second one, and I have no idea how it got there. @justin233 @NewAdvent - Amen, Miis are embarrassing. Either update the style or bring in something new, Nintendo. I didn't have that experience. Yeah, creating Mii's...that are totally pointless nowadays (minus the new Dillon game)! Yeah, I was on my laptop, so that's probably it. This is a slap to the face to those of us who truly cared for the game..
it was a wonderful way of watching my characters come alive. Although I was fortunate enough to have found some quirky folks to play with from day 1, what really kept me coming back were the features themselves. I don't know how many people realized just how well the app doubled as a character development tool. With miifotos, I could recreate favorite scenes. The clothes, possibly the most beloved feature for many Mitomo fans & with good reason! is hearing them speak in their unique TTS voices. My sisters & I spent many weeks 'conversing' with & role playing our OCs. Leading to plenty of laughs & ideas for the main 'book'. -Something I've never done before, which not only brought us closer together, but has also inspired them to join in on the project. I'm still devastated over this loss that I admittedly cried following the death of our sidekicks. We were able to squeeze another week out of it by simply leaving the app open with airplane mode on. I was almost willing to replace my new phone just to be able to hold on a bit longer..
which I fortunately didn't, since the phone ended up restarting itself anyway. I love miis! They are my favourite part of Nintendo.